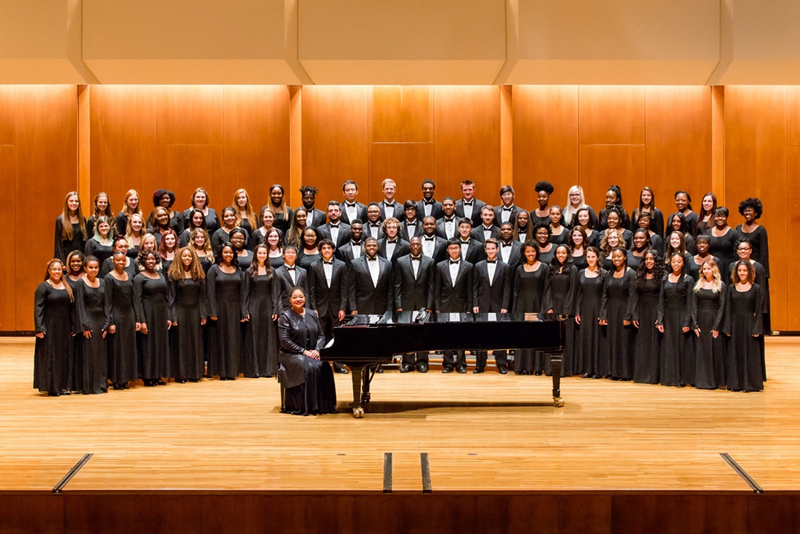 The Black Sacred Music Symposium, presented by the University of Illinois Black Chorus, was founded in 1991 by Dr. Ollie Watts Davis, Professor of Voice. This four-day, biennial conference is dedicated to the study of Black Sacred Music traditions. The conference provides participants with methods necessary to expand both their performance of the music and understanding of its message. Participants learn from a distinguished faculty of musicians and perform with them in the classroom and in concert. Seminar topics range from the history and development of the African American sacred music traditions, including congregational singing, folk and concert spirituals, metered and improvised hymns, anthems, and traditional gospel expressions, to choral decorum, choral conducting, and vocal and instrumental techniques. Additionally, participants attend musical rehearsals and join the artist faculty in a closing concert of repertoire learned during the Symposium weekend. Note: Group registration is unavailable online. Please contact Brianna Tyler at bmtyler2@illinois.edu for information regarding registering your group.